Windows 8.1 will get many new features ! 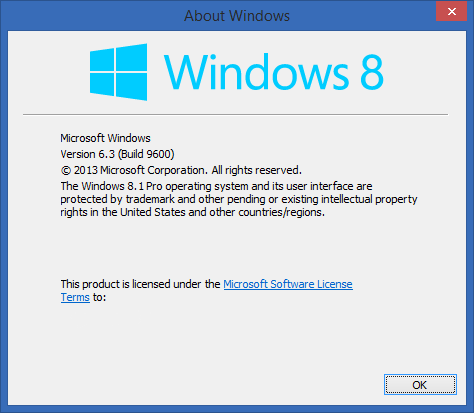 Windows 8.1 reached the RTM stage last month and is also available for download for MSDN and TechNet users. But this time Microsoft have different plans on what the RTM version means. They are planning for new features on the official launch of Windows 8.1. Windows 8.1 is all set to bring the Start button back to it's place and Microsoft takes this chance to show the users that they have listened to their feedback. Windows 8.1 is more than a start button, it's better and easier. 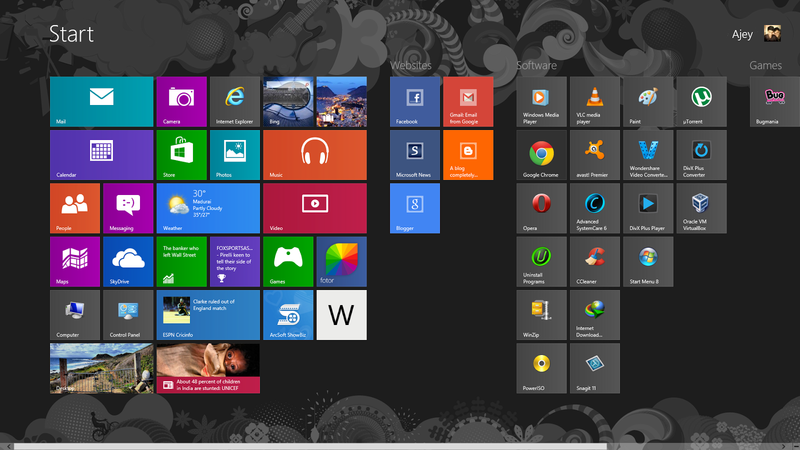 It has got many new features for the Windows 8 folks who will get the update for free from the store or via iso files. If you like the Windows 8 logo then your going to love this theme as it gives the Windows logo in five different colours, all are High Definition images which are collected from the internet. This theme is for Windows 8 and 8.1 users only. Note : These images are collected from the internet and I don't mean to hurt anyone or take rights over these pictures. These pics are not copyright intended ! The soon retiring Microsoft CEO gave his last speech to all his employees by saying thank you many times. He cried,sang his favorite song and danced for the song. "You work for the greatest company in the world, soak it in,” he told the audience with his eyes full of tears. "I want to say thank you…this isn't about any one person. It's about a company that's important, that's forward thinking, that's innovative,” he continued. 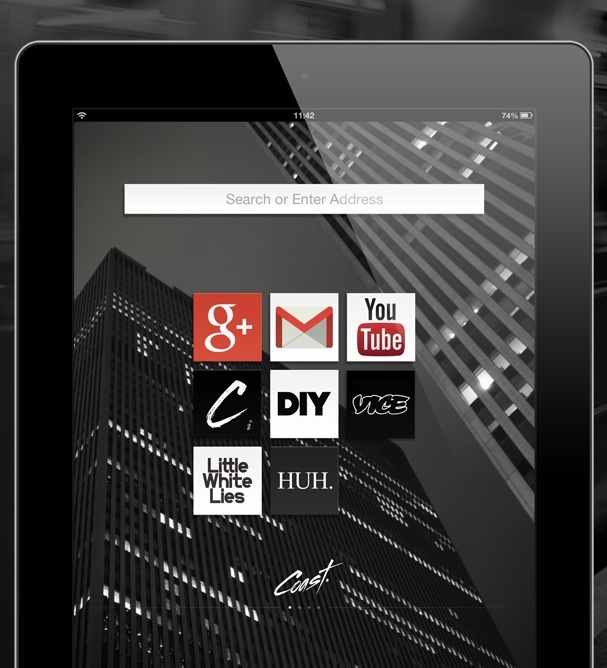 If you always want to a fresh wallpaper for your desktop then this awesome app is for you. You can download a lot High definition wallpapers for free. 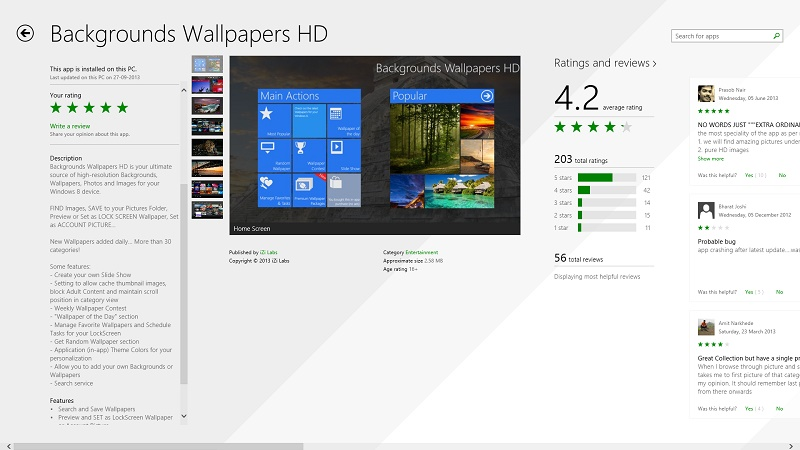 You can also use the wallpaper as your lock screen or even as a profile picture in Windows 8 and Windows RT 8. It also runs fine on Windows 8.1. "Backgrounds Wallpapers HD is your ultimate source of high-resolution Backgrounds, Wallpapers, Photos and Images for your Windows 8 device." Windows 8.1 will be released on October 18. It's more than a service pack which packs a lot of new features and is based NT version 6.3 which brings in a lot of improvements to the OS. Microsoft has announced that they would cease support to Windows 8 just two years after the release of Windows 8.1 which is October 2015. Of course if you are a Windows 8 user then you can get the update via the store or download the iso files which will also be released on October 18. End of support is not surprising because Microsoft have done the same with Service packs. When a service pack was released the previous version of the product will be supported up to 2 years. 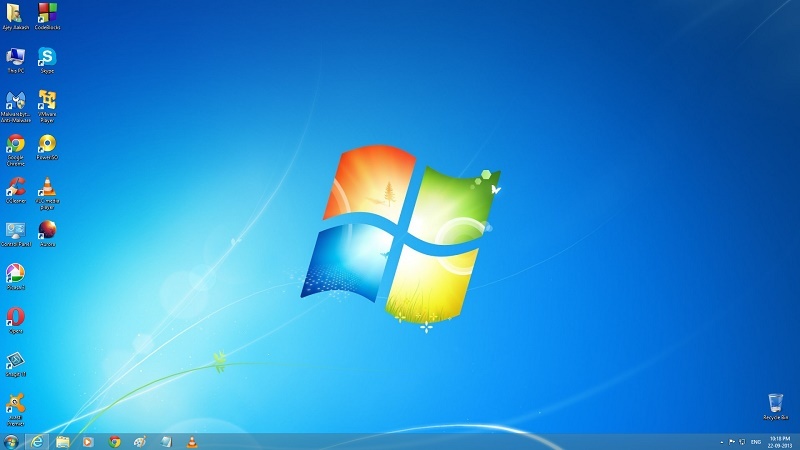 Windows 7 RTM lost support on April 2013 and SP 1 is the only supported version of the OS. Windows 8 adopts the same methodology but it gets updated with new features and not restricted security fixes as Service packs did. Make sure you use the latest Service pack if you are using Windows 7 or older and if you are using Windows 8 then upgrade to Windows 8.1 as soon as possible to avoid problems later. Deleting your Hard disk before you sell it to someone is very important because if you don't do so then your files can be recovered using recovery software. You may also want format your partition to recover space. Then here are the steps to shred the data forever. First you need to download Ccleaner which is free and small tool . Install it. When you are done with the installation process open the program. 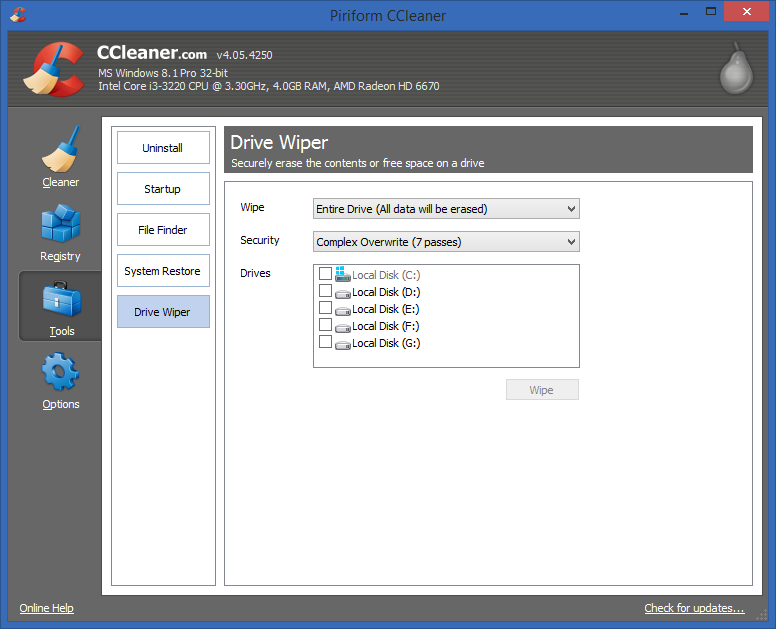 Go to Tools tab and select Drive Wiper. This will lead to the screen as shown in the above picture. Click the Wipe option which will show two options " Free space only" and " Entire data". Select the "Entire data option". Select the security level in which you want to shred. In most cases Complex overwrite is enough to Shred the partition. That's it . You have deleted your partition permanently ! Microsoft has released a new website which will allow you to learn more about the second generation tablets from the tech giant. You can also pre order the latest generation tablet which set to be released on October 22nd 2013. The new Surface pro 2 and Surface 2 which are priced at 899$ and 449$ respectively. Both of the tablets run Windows 8.1 and Windows RT 8.1. Surface 2 has battery backup of 10 hours. While Surface pro 2 can be attached to a docking which turns this masterpiece into a powerful workstation. Overall the new Surface is a great tablet which is worth the price. Microsoft will be making a lot of ads based in these new generation tablets in YouTube. So keep your eyes wide open if you want to see the latest videos of Surface 2 .
avast! just acquired Jumpshot, a company which maintains the performance of the computer by optimizing it. You need to buy a license to use it but this will change because avast! has acquired it. avast! states that it will integrate it with it's antivirus and make it available for all the users. "The process of cleaning up and enhancing a computer’s performance thus becomes effortless and entertaining. 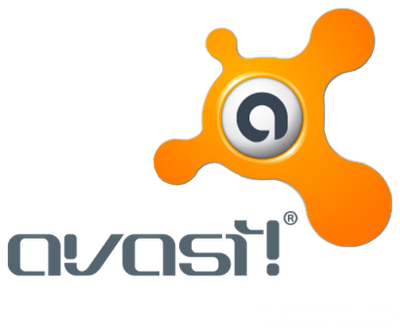 AVAST will integrate and make the technology available to its users by the end of the year." It seems that avast! will include it in the free antivirus with limited feature set and the paid version will get the fully fledged tool to optimize their computers. You can read more at official blog post from avast! 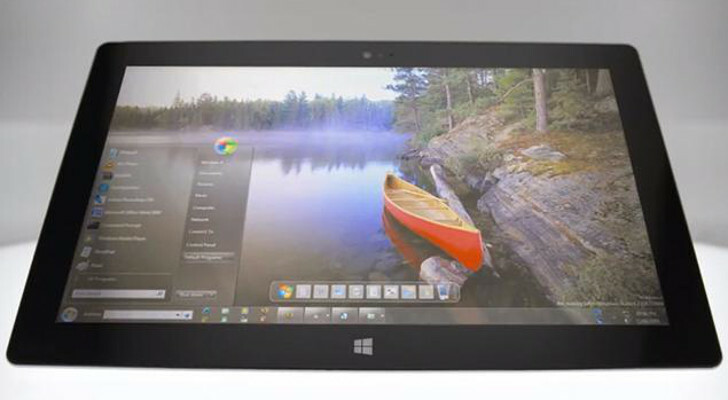 Microsoft accidentally shows start button in Surface 2 ad: Is this Windows 9 ? 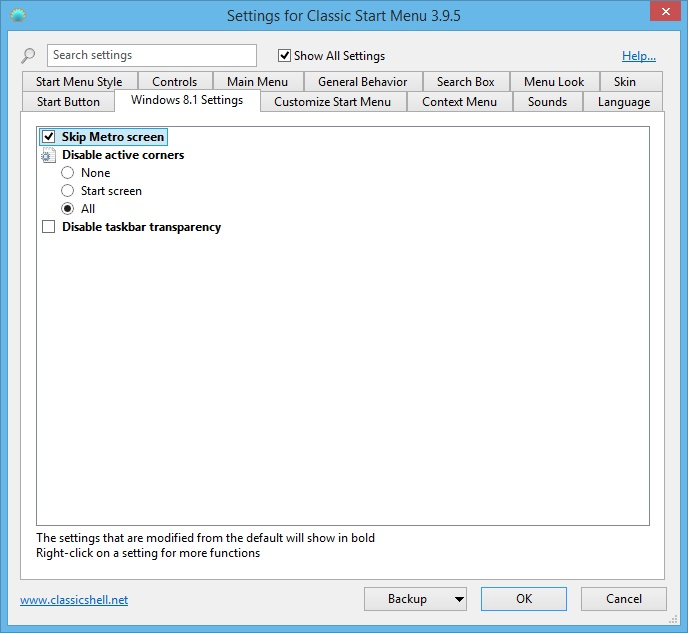 It is not the default Start menu found in Windows 7, it's a third party ﻿software which brings back start menu. But it is so confusing that the taskbar has real AERO theme with Glass effect which is not in Windows 8. It may be Windows 9 which may brings back the good old start menu and aero theme. It may also be Windows 7 with many customization done via some third party tools but I have major doubt ! " Will Windows 7 work in the surface tablet ?" . What do you think readers ? 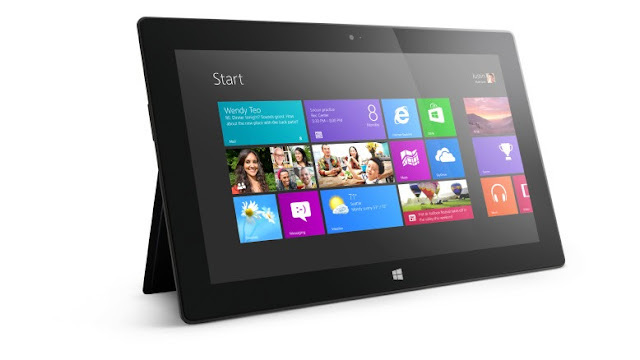 Surface 2 and Surface 2 pro coming out on 22 October 2013 ! Microsoft just announced the second generation Surface 2,Surface 2 pro and new Surface accessories. Surface 2 brings in a lot of improvements over the first generation devices. Surface 2 has battery life of 10 hours which is great for a tablet. Surface 2 pro on the other hand gets a new docking station which turns it into a powerful workstation. The docking station has Mini DisplayPort video output, three USB 2.0 ports and one USB 3.0 port, an Ethernet port, and 3.5mm audio in and out. Of course Surface 2 and Surface 2 pro will run Windows RT 8.1 and Windows 8.1. You can start pre ordering ﻿from tomorrow, 24 September 2013 while the devices will hit the shelves on October 22 2013 which is four days after the launch of Windows 8.1.To read more about the latest and greatest Surface, have a look at this blog post from Microsoft. Windows 8.1 brings a lot of improvements to Windows 8 but it still does not bring the start menu and many things which are in Windows 7. I will show you how to make Windows 8 look and work like Windows 7.This is how your Windows 8 will look when you complete the following steps. First you need download Classic Shell from here. Don't worry it's a very small download which is worth if you want get your Windows 7 back in Windows 8.Then go to settings and select Windows 7 style. After that download the original Windows 7 start orb buttons from here . It's a zip file, so extract it and you will find that there are 7 images with the familiar Windows 7 start button . 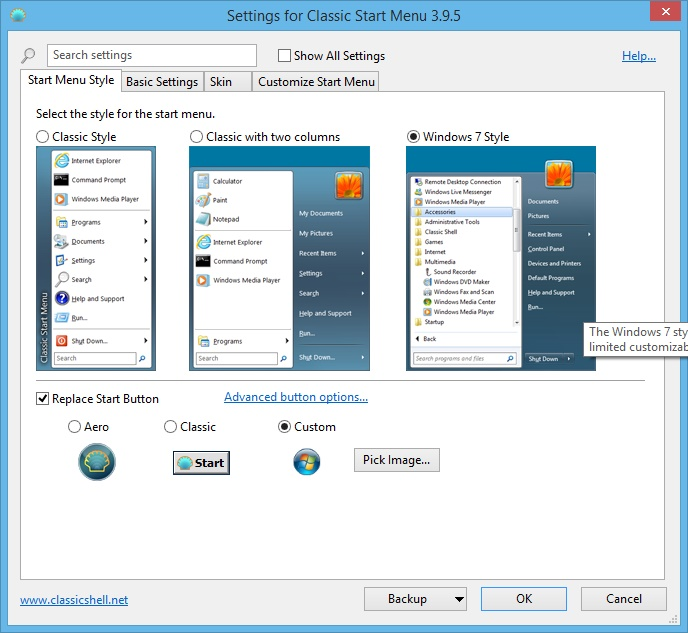 Now open the Classic shell settings, select replace Start button and browse for the Windows 7 start orb that you just downloaded. Select the "WindowsStartButtonSmall.png" and click ok. that's it your start button is ready to go. Windows 8.1 comes with a option to boot to desktop directly.Enable this feature by going taskbar properties and navigation tab.You should also change settings here too. you can access these settings by selecting show all settings on the top of the program. Completed.Windows 7 is back !! Adding live tiles for my website for Windows 8.1 ! This is how the live tile look . It will be automatically replaced by live tiles when I update the blog . I am just trying it now.... Got it right . The live tile is action for my website. It's simple way to interact with users without the need of even opening my blog. They will be update with a glance. Windows 8.1 users can pin my website and check the cool live tile. It is such a important and vital update to my blog and my readers can get to my blog with ease. If you are using Windows 8.1 then you can pin my website and check the new live tile feature. If you are in Windows 8/8.1 the you know that there is no better alternative browser to replace IE in the modern UI. But today Mozilla announced that the current update to aurora brings the improved modern version of Firefox. "Hardware accelerated full HTML5 video is also supported, including open video formats like WebM and proprietary formats such as H.264." Mozilla states. 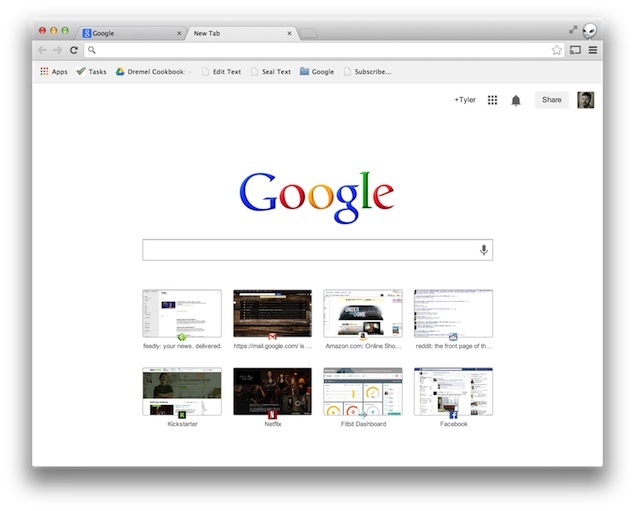 The final version of the Modern version of the browser is set to be released on January 2014. Google search and Gmail remain of the most used web services in our daily life. Today I got some kind of changes to these apps with a new feature called Grid which replaces the black taskbar found in the top of these services. Even the Google logo seems to be a bit update from the previous one. This Grid allows you to navigate through all the google services. Currently this feature is available only in Google+, Gmail, Google search. It is also peculiar to see it coming up only in Opera and Internet explorer when logged in but not in Google chrome. May be google are testing the changes within it's users before it is released for the public. I would say this change makes Google very simple and easy. I expect that Google will release this update to all the users soon. 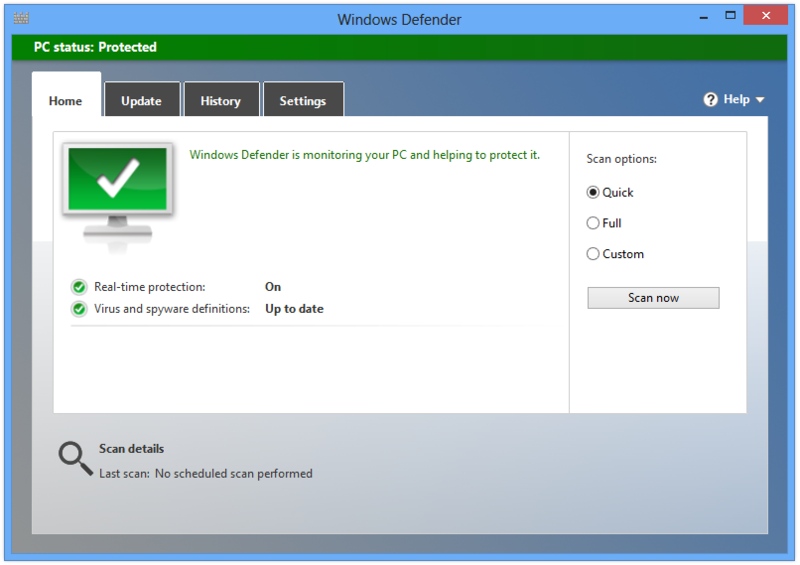 Microsoft security essential or Windows defender ( from Windows 8 onwards ) is by far the worst product from Microsoft. It has once again failed to get the AV test certification from the trusted AV testing company. It got a mere 0.5 out of 6 in protection category, 5 in performance category and 4 in usability which totals for 9.5 points. In order to get certified by AV-test, an antivirus should get a minimum of 10 points. MSE failed miserably. These test were carried under Windows 7 with MSE 4.2/4.3 . I would never ever recommend this product as an replacement to antivirus software. 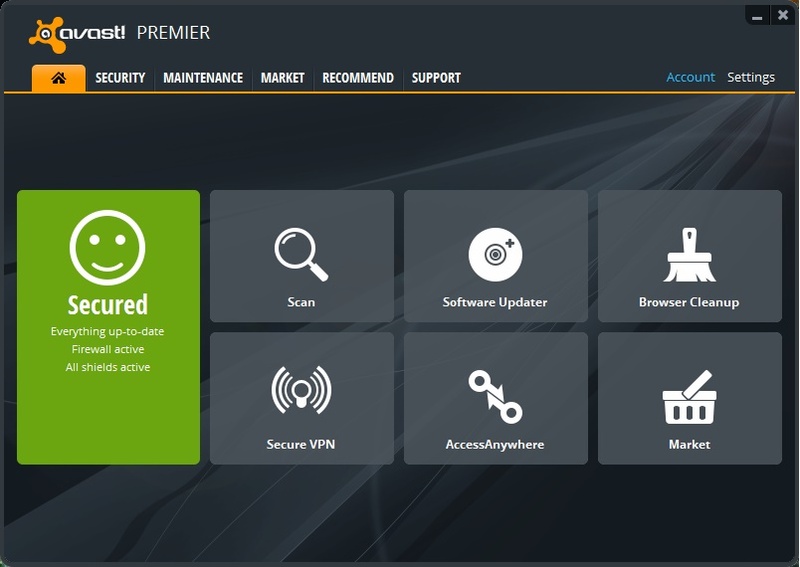 Every free antivirus such as avast!, AVG, Avira does a better job compared to MSE . Windows© plays a very important role in our life. From the personal desktops and to powerful ultrabooks, Windows is used. We have been living with computer for last 25 years with Windows being the OS used. Windows 95 brought a new redesigned UI which was improved with Windows XP and after that Windows became the most preferred OS in the world. Last two years proved worthy for Linux and Mac OS X. They are becoming as primary solutions rather than a alternative for Windows like it was before. The competition is heating up and already 9-10% of the users use Non Windows devices. Does this mean that Windows era is coming to an end ? I can say no easily because it's hard to compete with Windows as it can run millions of software and is found to be more professional and productive than any other OS in the world. Windows is found every where around you, from the small shop to big malls and theatres, developers love to develop apps for Windows which brings them quite a lot of money. It is a indispensable part of the computer world. Windows 8 was released to mixed reviews and some users got irritated with it's metro part while it is loved by the touch users. Windows 7 remains as a stronghold for Microsoft in the OS world while Windows 8 is slowly gaining momentum with Windows 8.1 around the corner. Users like Windows and only negligible number of people are running Mac OS x or the free Linux OS's. It's quite normal to see people who have not even heard about Ubuntu or Mac OS X. Windows 9 and 10 will move a step up with cloud playing a important role. Windows has set the stage for a great future while it's rivals are still well behind and struggling. Chrome 29 stable got a small update which resolves important problems with the browser and it brings some stability fixes. Google Chrome 29.0.1547.76 Stable comes to fix some Flash Player issues that blocked it from working in Metro mode, while also addressing glitches that made it impossible to submit client certificates over TLS 1.2 from Windows.You can also expect some speed boost as the stability of the browser is improved. Chrome will auto-update to the latest version without any user interaction. 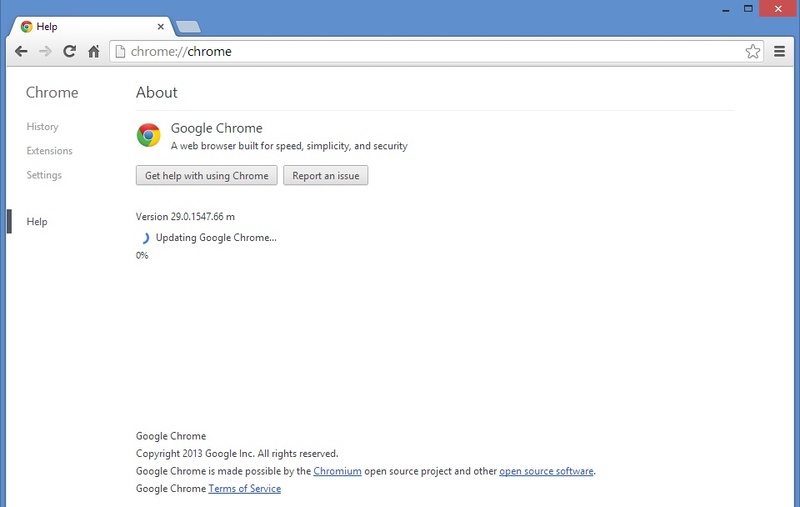 Chrome runs fine on all Windows,Mac OS X, Linux devices without any problems. Microsoft rolled out IE 11 release preview for Windows 7 users which brings some important fixes and improved performance. People who have been using IE 11 preview can also download and install this update over the current version without any problems. It's still a beta version of the browser but it performs practically well and fine though it may have some glitches. If you want to IE 11 for Windows 7 then you have this version as the only choice. IE 11 release preview needs Windows 7 SP 1 and 512 MB of RAM to run. It is notable that IE 11 brings in a lot of new features and Microsoft states that IE 11 is 30% faster than any browser in Windows 7 and 9% faster than IE 10. Windows 8 users won't get IE 11 as it is exclusively included with Windows 8.1 update. That means even if you are using the latest Windows 8 you should install Windows 8.1 which is set to be released next month to get IE 11. It's free and it is a important update which includes IE 11 and more features. 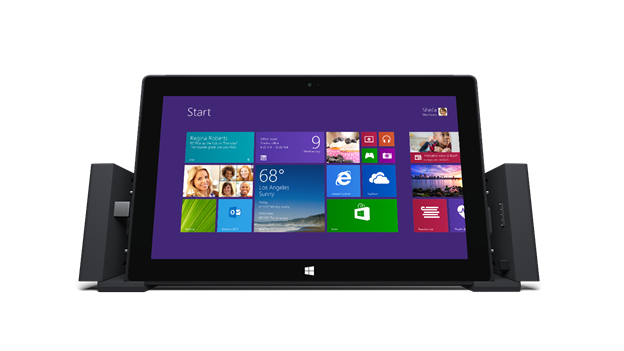 We are just a month away from Windows 8.1 and today marks the release of the Windows 8.1 pricing from Microsoft. In most cases it's as same as Windows 8. It will be available for download as well as traditional packaged DVD Either way, Windows 8.1 will be available for $119.99 (€90), while the Pro version will be sold for $199.99 (€150) in the United States. Pricing might vary by market, the company said. You won't need Windows 8 to install Windows 8.1 because it's available as a full version which can be even used to upgrade your Windows 7 to 8.1.In addition, Microsoft reveals that Windows 7 users who'll want to make the move to Windows 8.1 will be able to do so by using the built-in upgrade option, which will bring along all their files, but they'll have to reinstall all desktop apps. Windows XP and Vista users, on the other hand, will lose all their files, settings, and programs. “Windows 8.1 is not designed for installation on devices running Windows XP or Windows Vista. Although not designed or recommended for devices running Windows XP or Windows Vista, consumers still wanting to upgrade from Windows XP or Windows Vista should buy the retail DVD instead of using the download and boot from the DVD to do a clean install of Windows 8.1,” Microsoft said. It's like a star that I wanted to touch when it (Windows 8) came out. When I got my hands on it, I forgot the time was running. Now it has lead me here, 6 months of using Windows 8. Windows 8 is a playing a important role in my life with it's ever charming start screen and the familiar and trusted traditional desktop. With small Modern apps which help me do more in it's own and unique style. Everything makes me fall for this fantastic OS. I never looked back after installing Windows 8. Oh yeah Windows 7 had me for some time but Windows 8 took it's place by it's fluidness. Learning Windows 8 was not a hard thing for me, I just spent nearly 10 to 15 minutes to know what corners did and what can Modern apps do. I love using new software . So using it did not let me feel alienated. Performance is the key thing that every computer user wants and Windows 8 delivers it with ease. Windows 8 boots way faster than Windows 7 in the same rig. User friendliness got a new name with Windows 8.Windows 8 is fast and fluid. Stable forever, Windows 8 brought a lot of improvements in terms of stability. I have been installing and uninstalling many programs for reviewing but I have never got a BSOD till date. It's the same Windows 8 I installed over my Windows 7. Also a big salute for Internet explorer which is like Windows 8, fast and fluid. It comes with a baked flash player. It's more faster than any Internet explorer version this world has used. I have never touched Windows 8 till now but it just works fine with my mouse and keyboard. Now, I am in the next chapter of Windows 8, Windows 8.1. Windows 8.1 is certainly a advancement over Windows 8 which brings some of the most important features for Windows 8 users. More than everything it's free for Windows 8 users. If you are looking for a great OS then Windows 8 is the best choice. 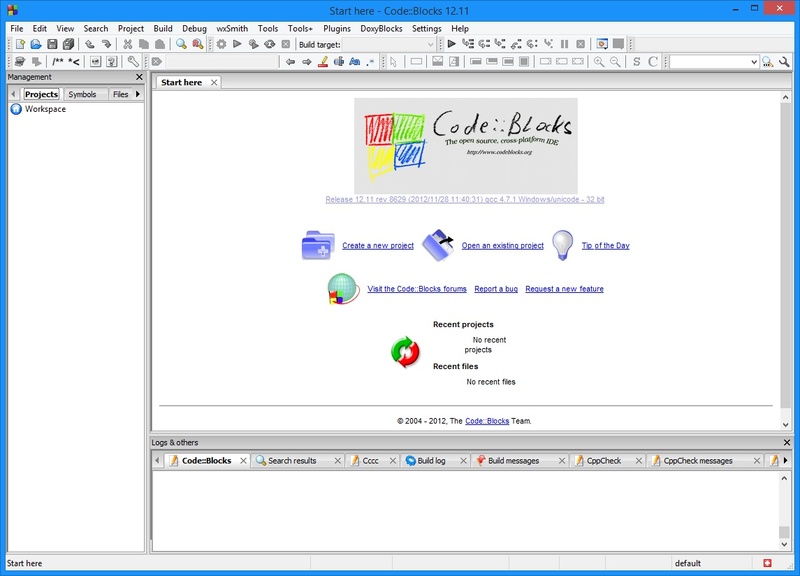 CodeBlocks is a great C++ compiler which still works like a charm. Everything is simple and straight forward. This program is very small in size and does not need any kind of activation like that of the famous Visual Studio Express. You can get this cool compiler for free and what's great is that the program is ad free. I have been using Windows 8.1 which brings the latest Internet explorer 11 with it. Till now I am satisfied with the improvements made to IE 11. See what Internet explorer 11 has to offer..... I can recommend this browser for any inexperienced computer users who just want to enjoy the web completely. 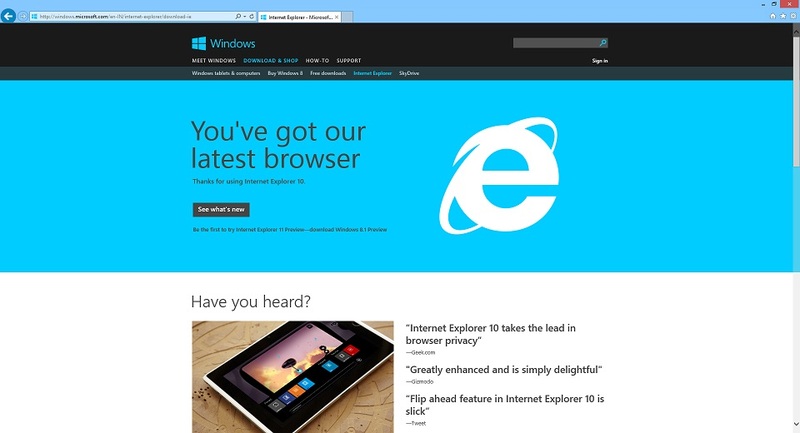 Internet explorer 11 UI in desktop mode is intact with IE 10. It remains untouched and clean. Tabs are at top with address bar preceding it. You can go to home page by clicking the home button in the top right corner. You can also access the favorites and settings using star and gear button respectively. The Modern UI version gets some changes in the interface part. The tabs are still placed in the bottom of the screen with address bar below the tabs bar. Address bar has a back button and reload, favorites manager and settings and also the flip ahead feature is now enabled by default. It also has a download manager which looks similar to the desktop version but with "Metro" feel. 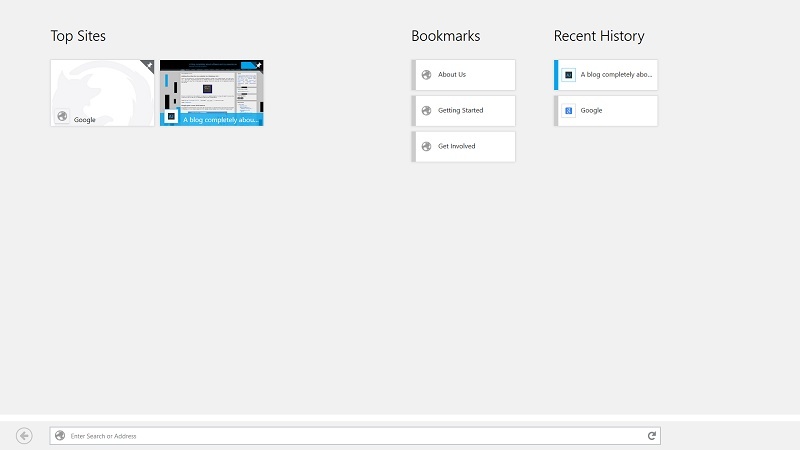 Both the versions of IE 11 have a very smooth scrolling features which eases scrolling through websites. The browser overall seems very easy to use and is very stable than previous versions. This browser gives you a worry free web experience though it suffers from incompatibility with some websites. The major changes in Internet explorer 11 is the support to new technologies which speed up the browser by a long shot. Internet explorer 11 generally feels faster than IE 10. 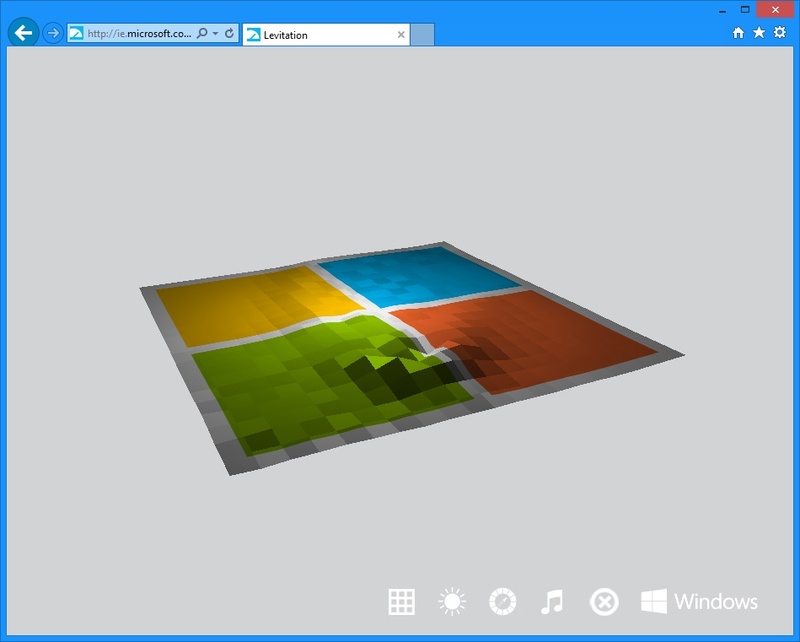 WebGL support has been introduced in Internet explorer for the first time which gives visually immersive web experience. 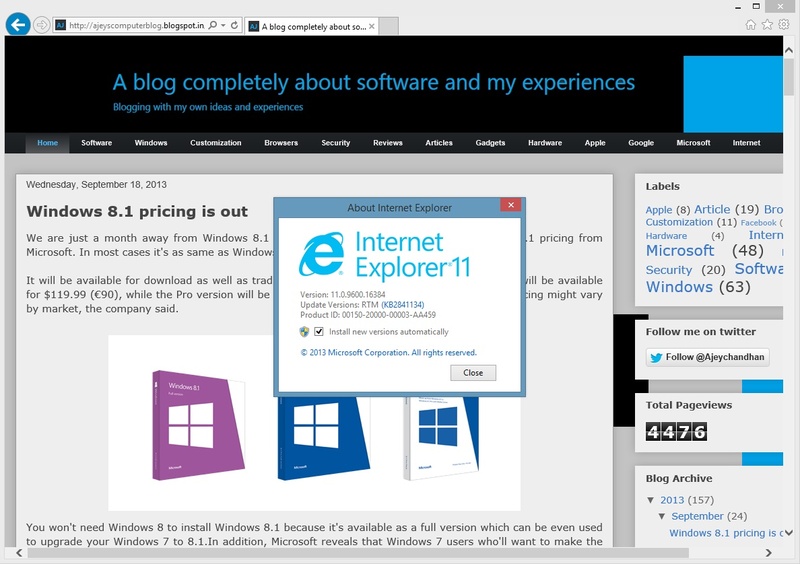 IE 11 starts a lot faster than any browser, thanks to the deep integration and powerful hardware acceleration. Also the visited pages will be loaded faster because web-caching which will make the browser feel faster. When it comes security IE stands tall. 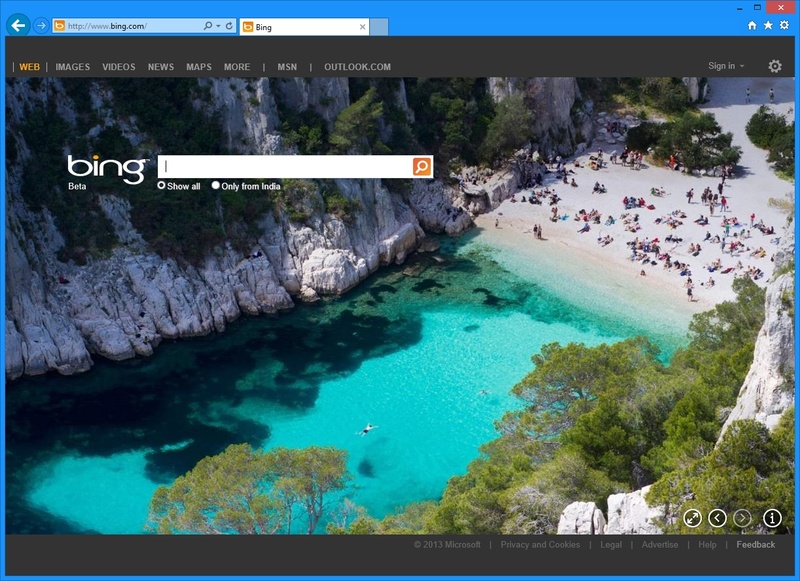 IE 11 manages to brings the same security features from IE 10 and improves them. Latest analysis show that IE 10 alone can manage to block 99% of the malware.IE 11 follows the same path. The way Internet explorer has evolved and is really amazing. 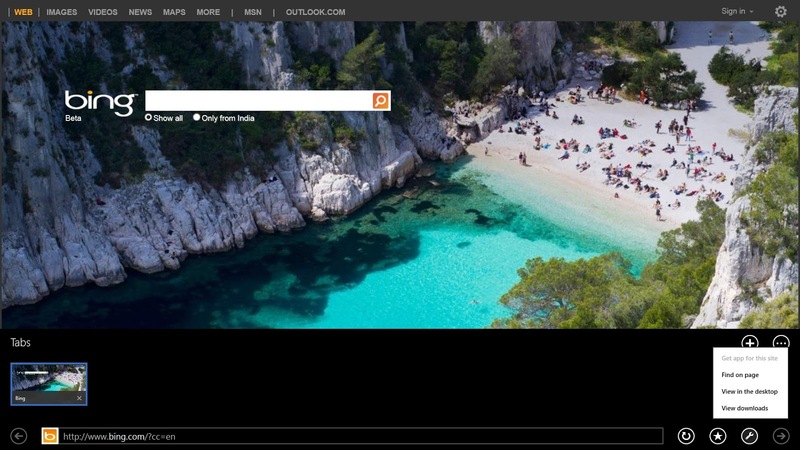 IE manages to keep up close competition with other browsers. Moreover Microsoft is updating IE in faster pace with yearly release. .It's faster due to the integration with Windows and it's hardware accelerated from the core. It's safer with its Smartscreen filter.Internet explorer is a solid browser which will please most of the users. It's a great milestone for Microsoft. Developers are now quite happy by what the Redmond based tech giant has done. It's important for a developer to test his/her app in the final version of the OS before it releases to the public. 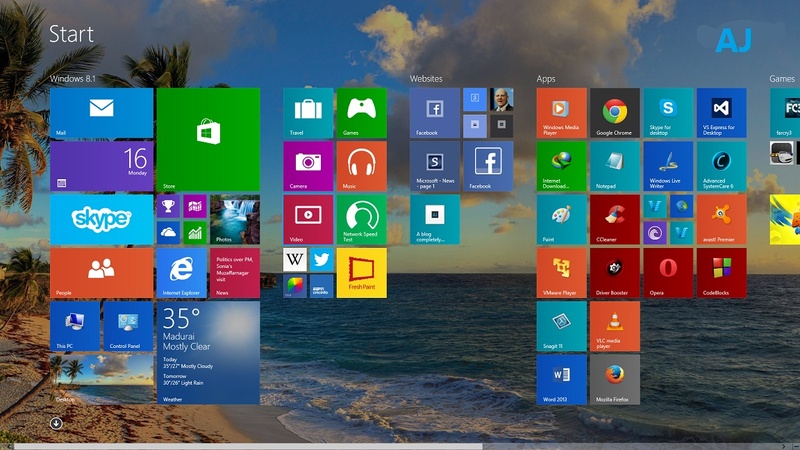 Windows 8.1 is a incremental upgrade over Windows 8 and is generally better in all ways. It includes lots of new features like Start button,IE 11,new customization options in start screen, a better PC settings, New apps such as alarm, calculator , Skype ( preinstalled apps) and a lot more ..
Windows XP is still a popular OS in the world but this is not good because it's old and worn out OS. It was released way back in 2001 and we are in 2013. Oh ! we can never ever see such a product which has been so successful. Microsoft make sure there words reach the users via any ways. They have blogged about it, they have warned about it, they created website to convince the users move away from XP and what not they have done. At last people seem to get the words from the tech giant and they are moving away from XP to Windows 8 or Windows 7. Last month XP lost a whopping 4% to it's successors mostly to Windows 7 and Windows 8. Windows XP is the most vulnerable OS which is still supported by Microsoft. What so ever will happen, Windows XP is set to demise on April 8 2014. So moving off is a great idea. Many IT companies of have decided to dump XP and go to Windows 8. What about your company ? Still using XP. 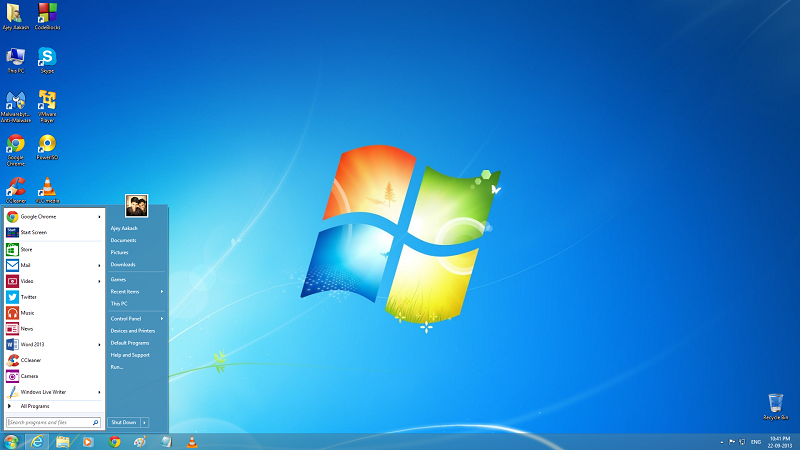 I strongly recommend you to plan and deploy Windows 7 or Windows 8 for better and faster productivity. Till now avast! BackUp had 25 GB as the standard storage and 75 GB as the maximum storage. But from today it's changing, the standard storage will be 75 GB and the maximum storage will be a whopping 150 GB. Users who already bought avast! BackUp will be automatically upgraded with space with respect to the plan they have bought.Users with 25GB get 75Gb, users with 75GB get 150GB.You can get avast! BackUp from here. avast! is well known for it's great free antivirus and also offers many paid solutions for both home and business users. Windows 8 has kept quite and has not got much market share even eleven months after it's launch in October. It has shown slow and steady improvement each month by gradually increasing it's market share but the major turn over came in the month of August when the new OS almost increased it's market share by nearly 2% (Netmarketshare). "As we ramp up toward general availability of Windows 8.1, we’re seeing accelerating momentum with Windows 8. Windows 8 PCs were in demand for back to school and we saw a bump in activations (or new PCs coming online) and Net Apps data released earlier this month confirmed this bump between July and August. Our August activations were the highest for Windows 8 so far! And remember, consumers will be able to update their Windows 8 devices to Windows 8.1 for free through the Windows Store." said Microsoft in a blog post. Windows 8.1 will be out this October and this seems the main reason for sudden increase of popularity of Windows 8 between users. Windows 8 currently holds 7.41% of the market share which is still behind Windows 7 and the old Windows XP. When you click the blue IE logo button in Start screen, you open the Modern UI version of IE. This version of browser is great for touch because it has big tiles and it is chromeless without any address bar, tabs visible until you right click or tap. For users who have been using Internet explorer in desktop mode may find it annoying to go to desktop and open Internet explorer in desktop mode. 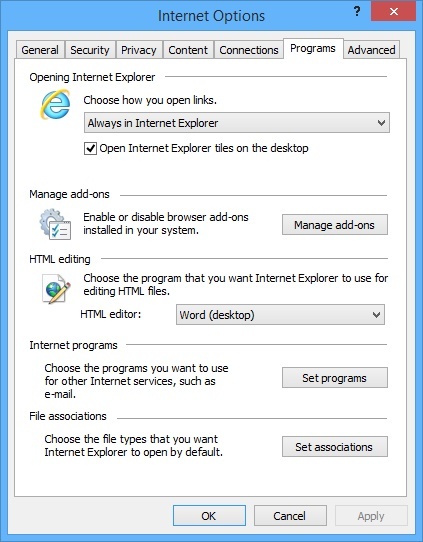 So here are some steps that will lead you to the desktop version of IE from the start screen tile. Open Internet explorer in Desktop mode. That's it !! Now when ever you click the IE tile in start screen it will lead to Desktop version of the Internet explorer . If you have Windows 8 currently installed and if you love Internet explorer. You can't get the latest version of Internet explorer without upgrading to Windows 8.1 which is set to be released on October 17th for Windows 8 folks specially. It seems peculiar to see Microsoft do this because Windows 8 is the latest offering from MS and they won't release IE 11 for Windows 8. They want all the users to upgrade to Windows 8.1 as soon as possible to get the latest and greatest features. 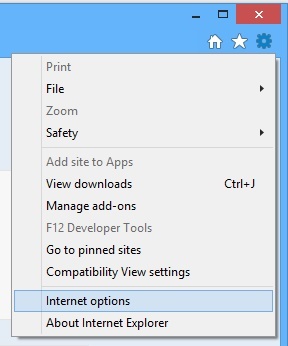 Even Windows 7 users will have the option to download and install IE 11 over IE 10 but not in Windows 8.This is a very clever move by Microsoft to make sure that all the users install Windows 8.1.Of course Windows 8.1 is a great update to Windows 8 which will be available for free of cost. What do you think about this decision taken by Microsoft ? Microsoft made a big change in the release of Windows 8.1 RTM by releasing it to the developers way earlier than official launch of the OS in October. Windows 8.1 RTM is now available for all MSDN and the retiring TechNet users for free. Already there is a lot of leaks floating around the web and the leaks and this official version seems quite similar .They can be activated with a legit Windows 8 key. Developers and subscribers were raged by the previous decision of releasing Windows 8.1 for all the users at the same time. But now the developers seem to be quite happy by the change of mind in Microsoft by releasing Windows 8.1 for developers today. 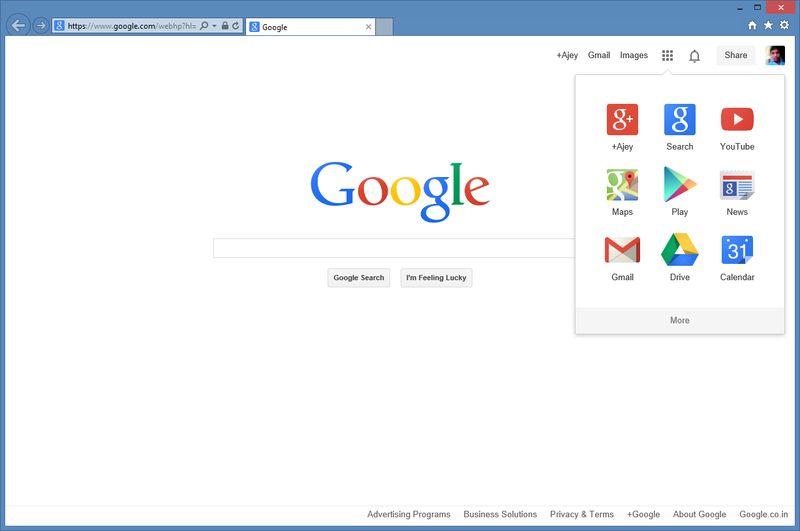 Chrome gets desktop apps in it's 5th birthday ! Google Chrome got apps that can run offline and in the desktop without depending in internet.This is most welcomed by Chrome OS users who ran every app which lived in the cloud and these small offline apps are so useful for them. Nevertheless, all the apps are available for every Chrome user which ever OS he/she uses. Have a look at these apps here. 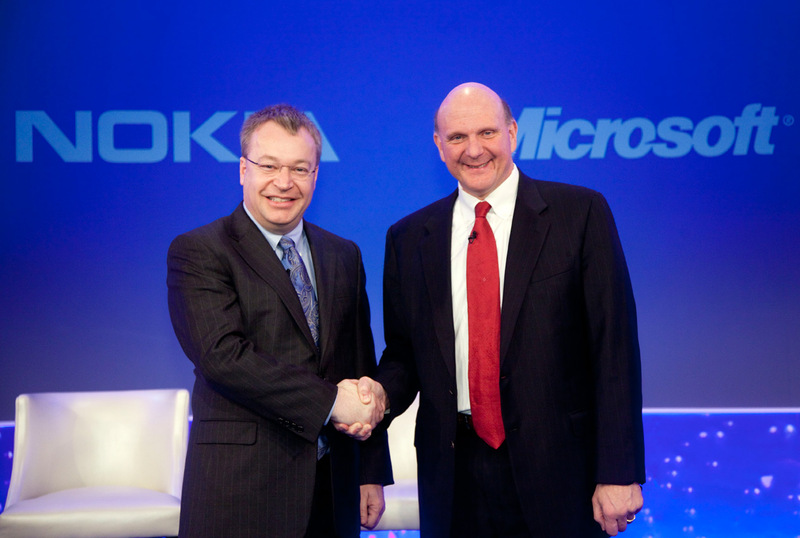 Microsoft bought Nokia yesterday, and now they can get the professionals from Nokia to help them build a better Surface tablet . Surface till now has failed to excite the users.It comes in two different flavors currently. One runs Windows 8 pro and other runs Windows 8 RT.Microsoft is gearing up for the second generation range of tablets with a new 7x8 inch variant which will run Windows RT. 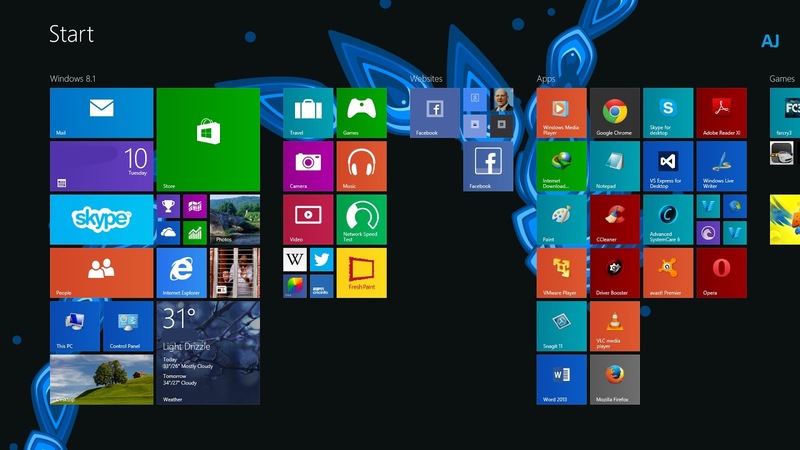 I have been avid user of Windows 8 and I liked the idea of Modern UI a lot. 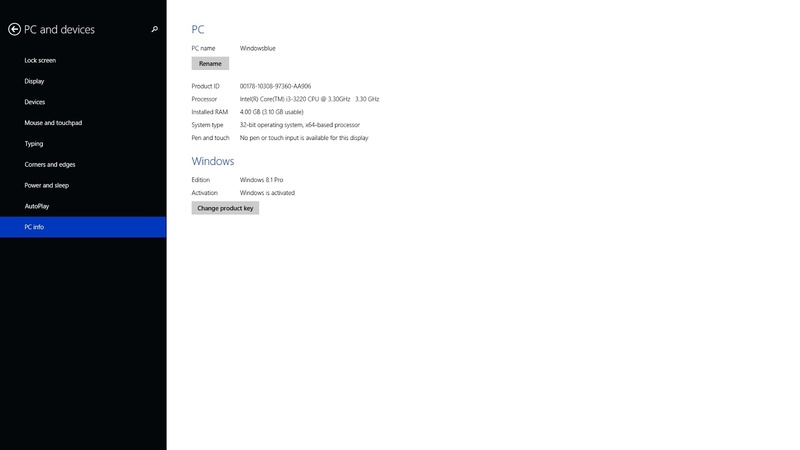 The next iteration of the Windows 8 is Windows 8.1 which is now in RTM stage . I have used it for more than a week and I find myself very attached to the Modern UI features. I love the fullscreen IE 11 which is a lot faster than IE 10 in Windows 8. Windows 7 users will be quite happy with Windows 8.1 as it brings back the most wanted features which were missing from Windows 8. You can boot to desktop directly and also the start button is back with new features in it's right click context menu which allows you to turn off your computer from the desktop itself without using the charms bar.Windows 7 users can feel comfortable with new UI which still as a slight learning curve.But when you get used to it then you are going to be more productive with Windows 8.1. I also find myself with more control over the PC with new search feature which is a awesome new feature added in Windows 8.1. Performance is very much like Windows 8 but it has subtle changes which make the OS worth mentioning.Start screen has gone through a lot of changes with new tile sizes and more customizable UI. PC settings have been improved for touch users. 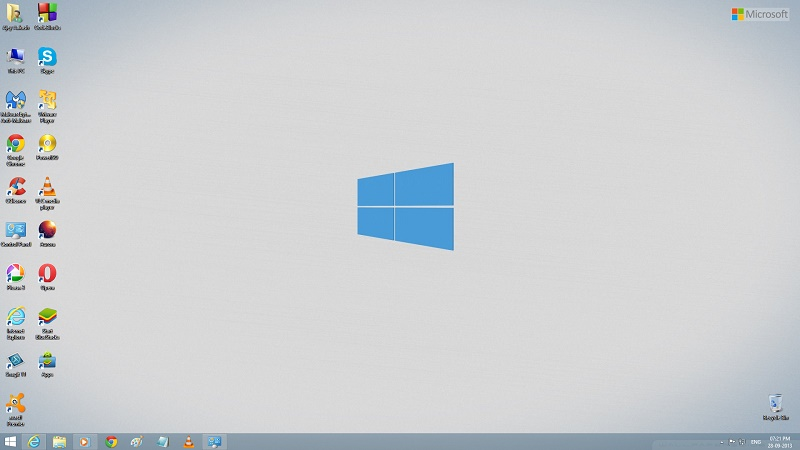 Windows 8.1 looks solid and professional like Windows 7 now. 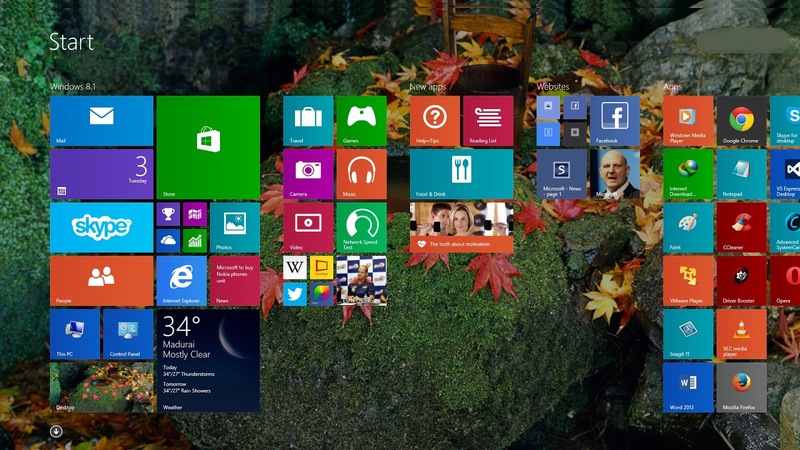 Windows 8.1 is set to be released on October 18th. Microsoft and Nokia have been producing a lot of powerful Windows phones which are sold out like hot cakes and now Microsoft takes Nokia under it's name for a more innovative future . Microsoft state that this a very important and bold move with innovation in mind. Google Chrome is one of the most used browsers in the world. Chrome celebrates it's fifth birthday.It has been a game changer in the browser history. It was released on 2nd September 2008 as a first beta for Windows which had a simple and minimal interface and still the same UI is present with very few changes.Back in 2008 Google developed a open source project called Chromium which is the source code of Chrome.It can be used by any people to create browsers for free.Chrome never slowed down, it was constantly improved by google with each stable release.Chrome is also known for it's security which bets big for users.Chrome has been my primary browser since I started browsing internet and to be true, I never have problems with Chrome. 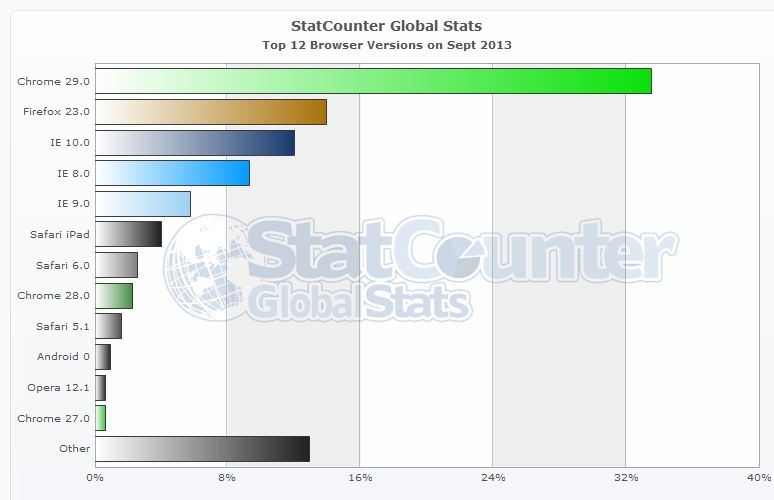 Chrome posts a market share about 9% which makes this the second most popular browser in the world.